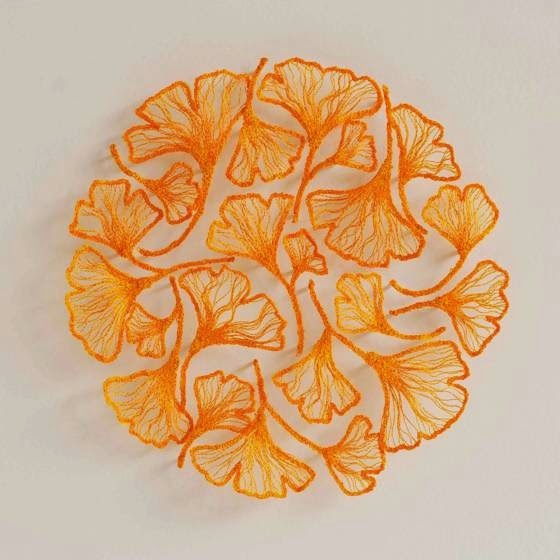 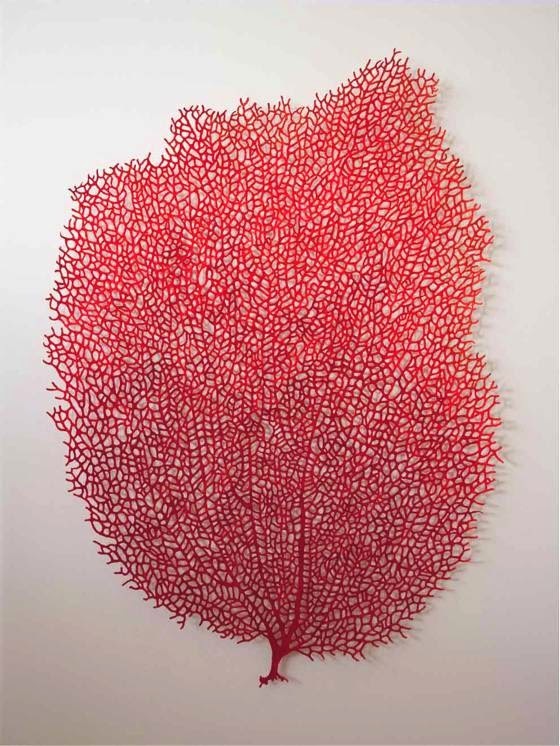 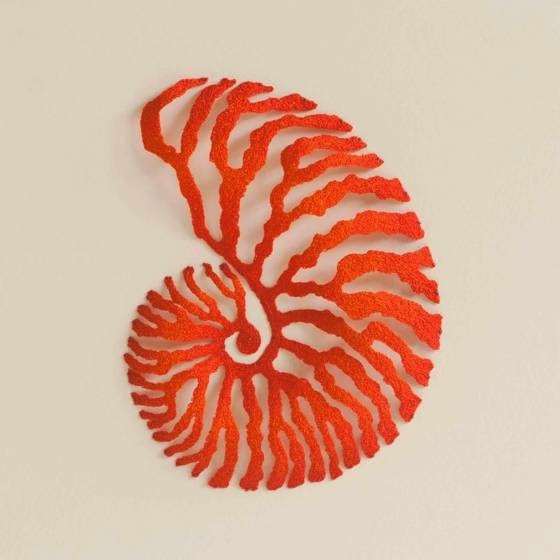 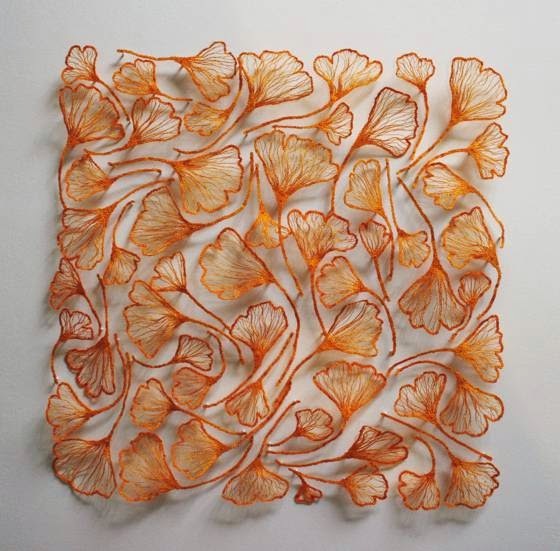 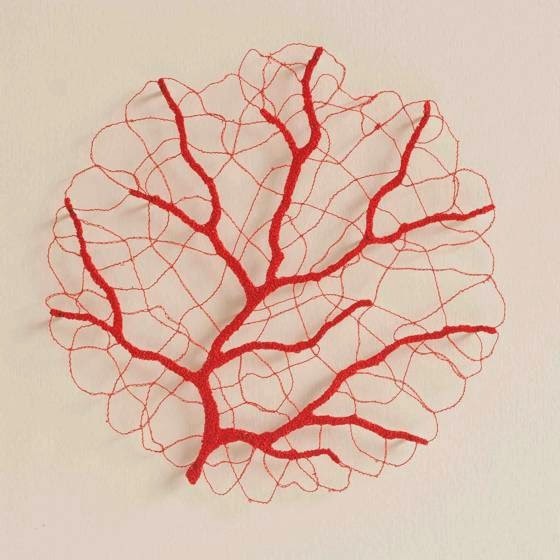 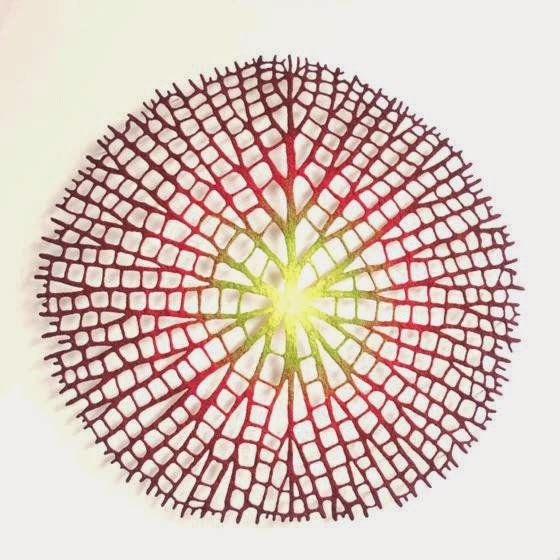 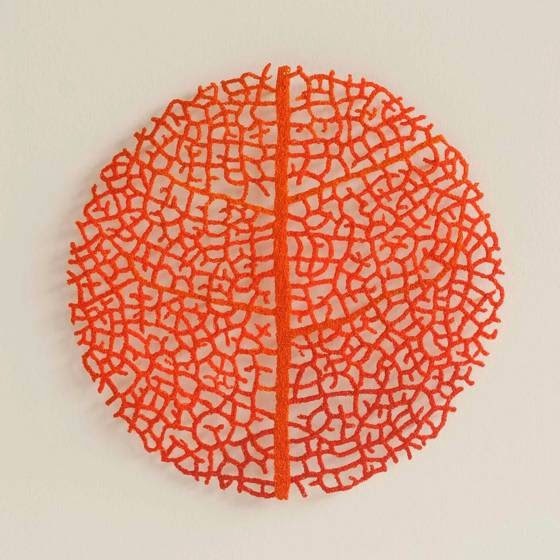 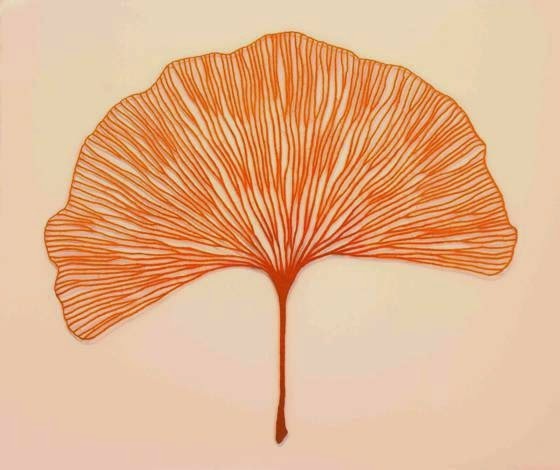 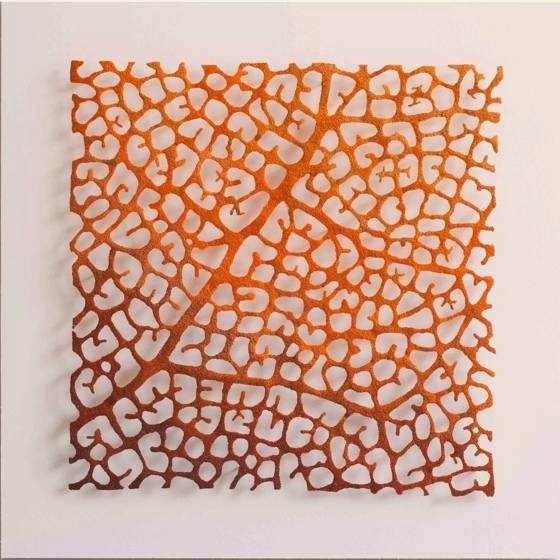 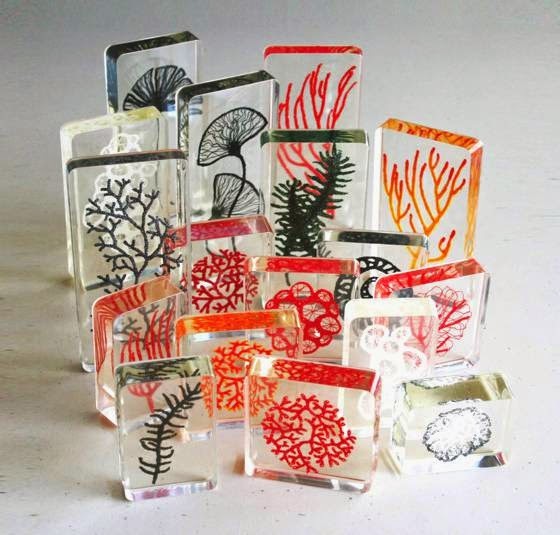 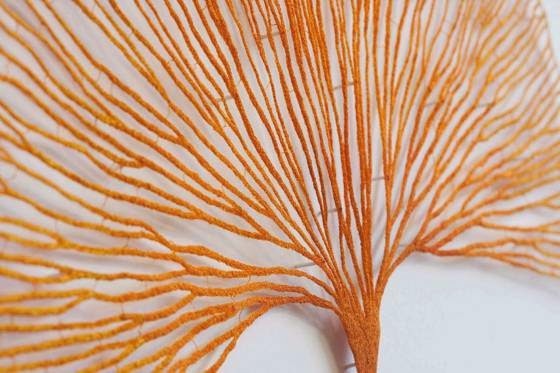 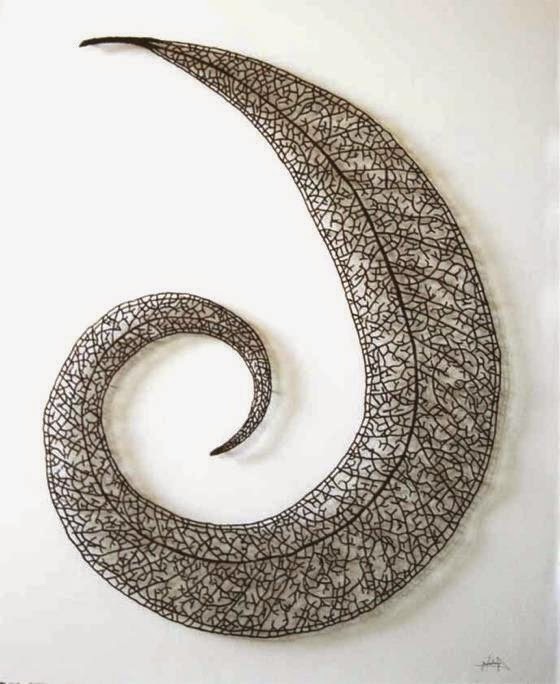 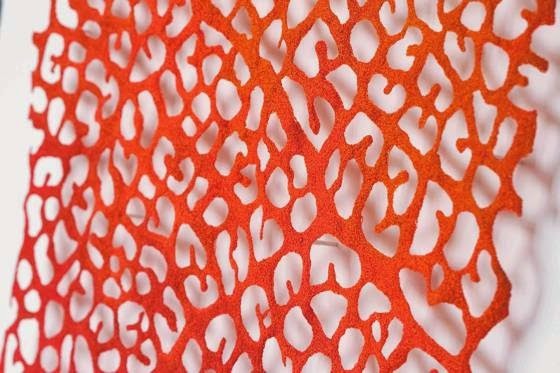 Meredith Woolnough is an extraordinary artist who lives and works in Newcastle, Australia. 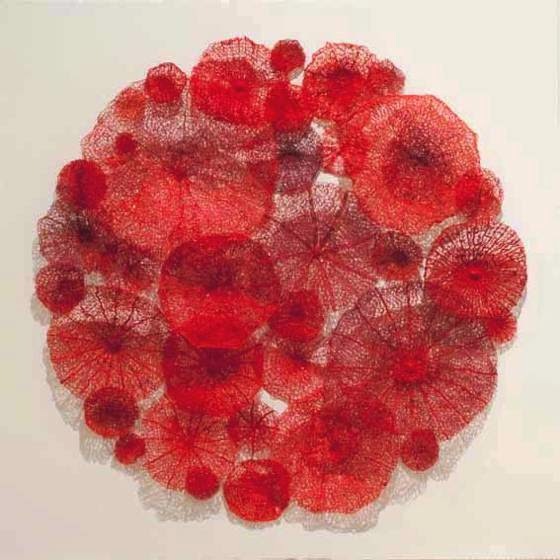 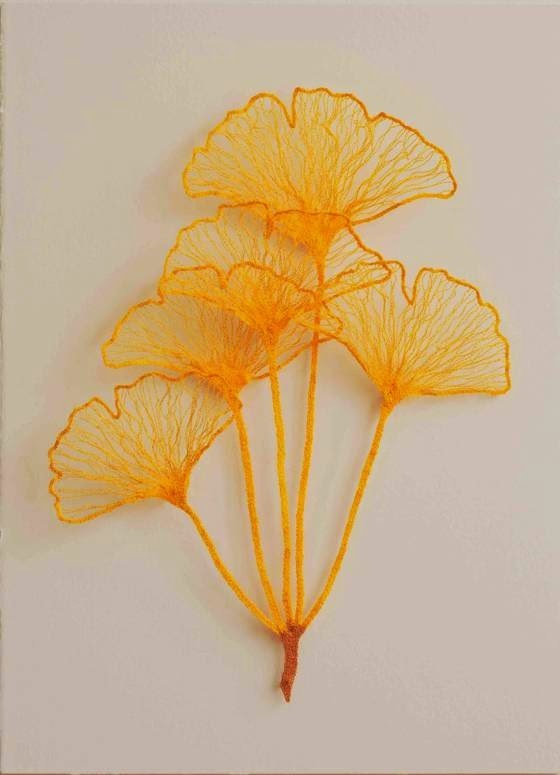 Her elegant works are made with embroidery thread, knotted in order to capture the beauty and fragility of nature. 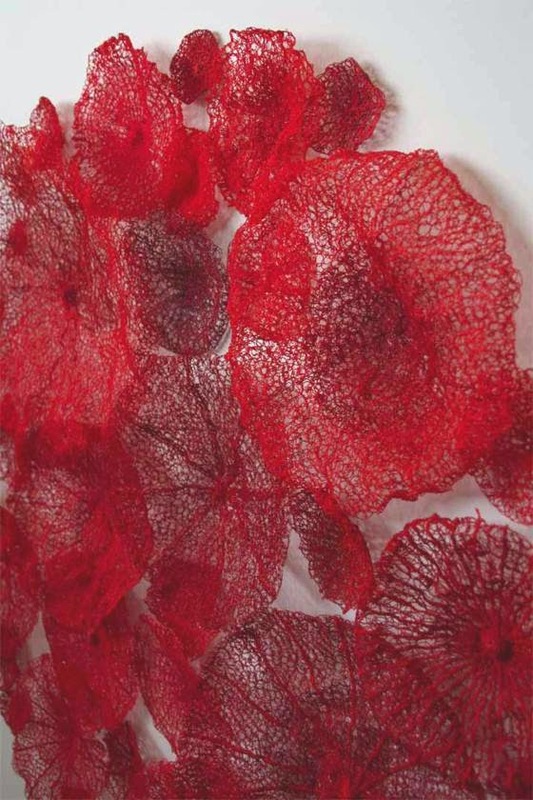 Her patient work explores the sculptural possibilities of a particular technique, based on the use of a sewing machine over a fabric that dissolves in water. 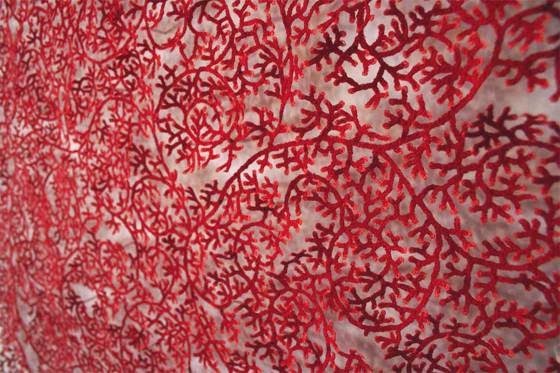 The beautiful, intricate and dense structures obtained by Meredith create wonderful textures and surfaces, which are then suspended in space or fixed on panels. 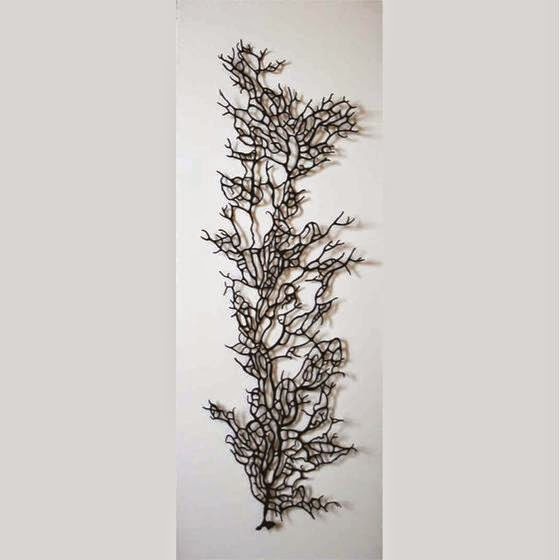 Meredith's work has received numerous awards and is found in many private and corporate collections throughout the world.